Well, Ed and I survived our very busy January with two back to back vendor rallies, the FMCA Indio rally and then of course the 9 day tent show here at Quartzsite, AZ. We are wrapping things up and switching hats to dedicating our entire next month to the success of the upcoming Rolling Rally. Many of you were here in the desert, at Quartzsite and had the opportunity to attend at least one of the Rolling Rally Q & A sessions we had at Boomerville . We had past and present Chapter 8 folks who camped here and a good time was had by all. Many of you are coming from other areas of the country and we will meet at Potrero Park for the first time on February 11th. I wanted to address a couple of questions as they have been coming up in the recent weeks, especially by the latest sign ups. February 11th 2019 to March 1, 2019 (please allow at least a couple of extra days in case you would like to attend the Ensenada Carnaval or take your time travelling back to the border with friends). Of course some of you will want to stay an extra week on the beach or travel further south. The entire group will arrive on Monday, February 11th at Potrero, CA County Park (San Diego County) between 9 a.m. and 2 p.m. The coordinates are 32.6142° N, 116.5942° W.
Some of you have asked about arriving the day before. Unfortunately we will need all of you to arrive during the date and time window assigned. Only special volunteers such as Parking Team, Group Leaders, Chapter 8 Board and Charity Board members have an early arrival date and time. We cannot make exceptions even if you are willing to book on your own. The Chapter 8 officers and special volunteers need this time to have meetings and prepare the finishing touches for the upcoming rally. However if you would like to camp nearby Potrero County Park, there is a 1000 trails campground not far on the San Diego side and there is the Golden Acorn Casino and travel center within easy driving distance of Potrero, CA. Allow a good three hours if you are coming up from Yuma. Those who arrive on the 11th will have their opportunity to do their fair share of volunteering as the rally continues. Please be aware that the roads leading up to Potrero County Park are somewhat steep and narrow. If you have a long rig, stay on the interstate as long as possible before taking the scenic route. However, do not be worried we have driven all roads with our rig plus toad and we are 65’. Yes, we had to straddle the road occasionally (two lane road) but it was worth seeing the beautiful landscape! Please bring good levelling blocks to Potrero. Potrero Park has 37 electric/water sites available and as mentioned before they are allotted to special volunteers first, such as Charity Committee, Parking Chair, Group Leaders, Chapter 8 Board, welcome dinner volunteers etc. These are people who are arriving up to 5 days early and have gone above and beyond for Chapter 8 and in helping to make this Rally the success it has become. The remaining electric/water sites will go in order of sign up time (you can see when you signed up in relation to others in the upcoming attendee roster). Please remember that Potrero Park has the best fresh drinking water, you can fill up your tanks there. Hot showers and a beautiful dump station are also available. There are a few small country stores nearby, a post office, places to change money and get great fuel as well. Once you have parked your rig in the assigned camp site, come on down to the Pavilion for the check-in process. You will need to bring your filled out medical form in a sealed envelope with your name on it (form is on website). Registration is open from 10 a.m. – 3 p.m. and we will surely greet you with a warm welcome and a SKP hug. Among other things, you will receive a Rally itinerary during this registration process and get to meet some of the Group Leaders as well. Registration will be followed by the welcome dinner at 5 p.m. We will have a pot luck dinner the following evening and two pot lucks in Mexico as well. 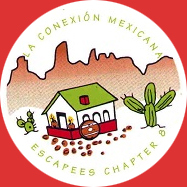 Please revisit our website again (mexicanconnection08.com) and read through our Spring, Summer and Fall 2018 newsletters, bulletin #1, #2 and #3. Please study (and print) directions to Parque zoologico del nino jersey 32.0864° N, 116.5993° W in the town of Francisco Zarco (Valle de Guadalupe our second camping location) and La Jolla Beach Campground in Punta Banda (near Ensenada our third camping location) [approximately 31° 43′ 26.87″ N, -116° 43′ 22.19″ W]. While we will have a very detailed Ensenada city map for you at registration and a map of our border crossing, things to do in the wine country and Punta Banda areas, we do not give you a detailed road log this year. We are only driving 100 miles total from the border on national highway 3 and 1, and most of you will have your smart phones with you. In the old days of Chapter 8 (or even last year as we went much further south) we would hand out road logs. However our two driving segments in Mexico will be easy this year and times have changed to where most of you can just put in the destination into your smart phone and voila, just like in the United States it tells you turn for turn how to get to your destination. Remember you will be travelling in groups and meet with your Group Leader to go over both driving segments. Each Travel group has a Group Leader and a Tailgunner. However, just in case you will have poor cell phone reception in Mexico we do recommend printing directions out to the two Mexican camping locations BEFORE crossing the border. Many new tools are available now, like google earth where you can zoom in on our campground locations for a preview of the facility. Please remember that you need to call your provider BEFORE crossing the border about coverage in Mexico. Well that’s it for now, look for the updated attendee roster with your picture, assigned volunteer duties, and your volunteer specific arrival date in the next few days! We look forward to meeting all of you soon at Potrero Park!